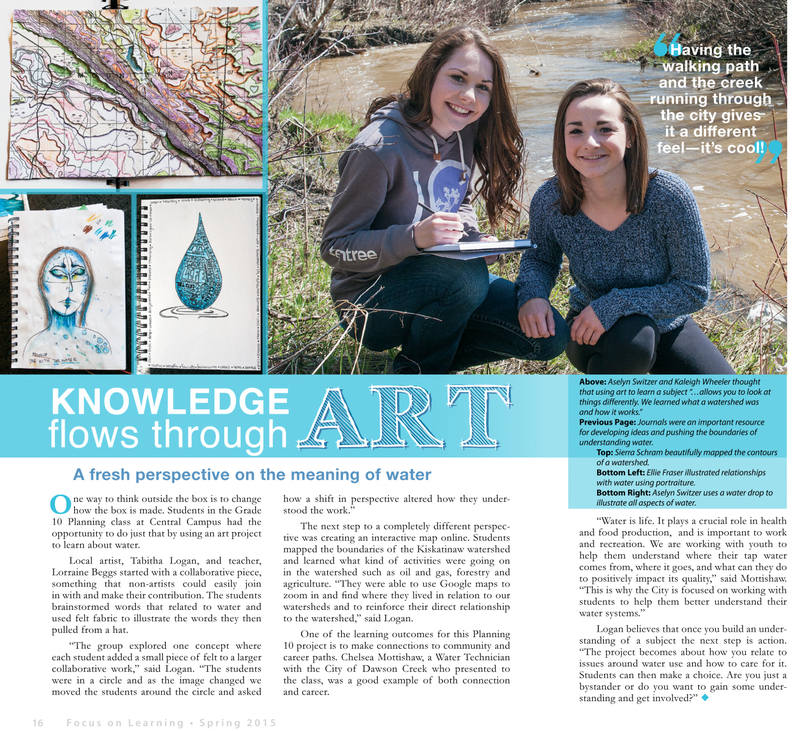 Focus on Learning, a publication of School District 59, Peace River South, recently featured a creative project that artist Tabitha Logan and educator Lorraine Biggs collaboratively developed as a learning experience for students at Dawson Creek Secondary (Central Campus). The students worked on art projects that enhanced learning about water and watersheds, and extended into learning about the local community and career options. Students expressed that using art to learn a subject "allows you to look at things differently". Click the image below to enlarge or read the full article online. This project was Tabitha''s first collaboration with a teacher after taking part in ArtStarts'' Arts Integration Learning Lab in Prince George this past March. Congratulations to Tabitha on applying her knowledge and talents in the realm of education! We hope you continue your creative work with teachers and young people. Get Involved in the Next Arts Integration Learning Lab! 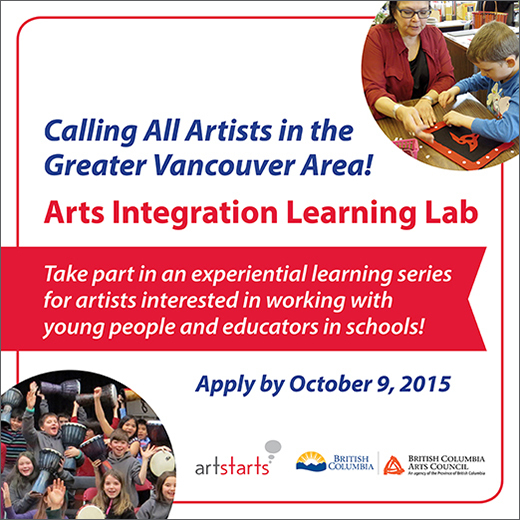 ArtStarts is hosting a new Arts Integration Learning Lab, this time in Vancouver, and we are now accepting applications to attend. The deadline to apply is October 9, 2015. Learn more about this opportunity and apply online at artstarts.com/infusion.